Morning pick up from Calicut and journey to Wayanad. Arrive at Wayanad by 8.30am. After fresh up and breakfast visit Banasura Sagar Dam,This is the second largest earth dam in Asia. There you can enjoy the boating also. After Banasura Sagar Dam drive to Kuruva Island. Kuruva island is a evergreen forest lies in the Kabani river, total area of this island is 950 acre. It is a home of uncommon birds , orchids and rare kinds of flora and fauna. Walking through the island will be a unforgettable moments. After breakfast you will proceed for sightseeing. You will visit Edakkal Cave. Edakkal Cave is a natural cave situated in Western Ghat’s Ambukuthi hill region. It lies above 1200mtr from sea level.You will find the Neolithic and Old age civilization’s carvings and writings. After this spot you will move to the Wayanad Heritage Museum situated in Ambalavayal. There you can explore the history of Wayanad. After the museum proceeds to the Soochippara Waterfalls. Proceed back to your hotel/Home stay for the overnight stay. After breakfast proceed to visit Pookode Lake, Set in a beautiful valley and surrounded by evergreen forests and wooded hills, Pookote is one of Wayanad’s top visitor draws. After this destination proceed to Thusharagiri Waterfall. On the way spend few minutes at Lakkidi view Point. 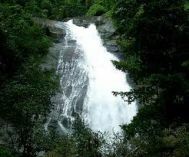 Thusaharagiri waterfall is located in the Western ghat’s wally. This stream originating from the western ghats and joint with Chaliyar river. This three steped waterfall have a height of 75 mtr.This spot provides a wide scope for trucking, natural walk,bird watching….etc.